We want to start by thanking everyone who fished with us in 2018. We hope you enjoyed yourself and hope to see you again this year on one of our many adventures. Our TRIP CALENDAR web page shows info on all TRIP TYPES, DATES, DEPARTURE & RETURN TIMES, and FARES for both open boat and reservation-only trips. It also shows AVAILABLE SPOTS for reservation-only trips.The following are some 2019 trip description highlights along with a few important items about our booking policies. After four exceptional Nantucket COD/POLLOCK/HADDOCK and FLUKE/COD/POLLOCK trips last season we are very excited to announce an expanded Nantucket schedule for 2019. We will start our Nantucket season off with our yearly Memorial Day weekend 2½-DAY NANTUCKET ADVENTURE! Last year we saw loads of COD and POLLOCK on the wrecks and AMAZING HADDOCK fishing on the jigging grounds. This will be the only trip where we will split the fishing up between wrecks and open bottom jigging. 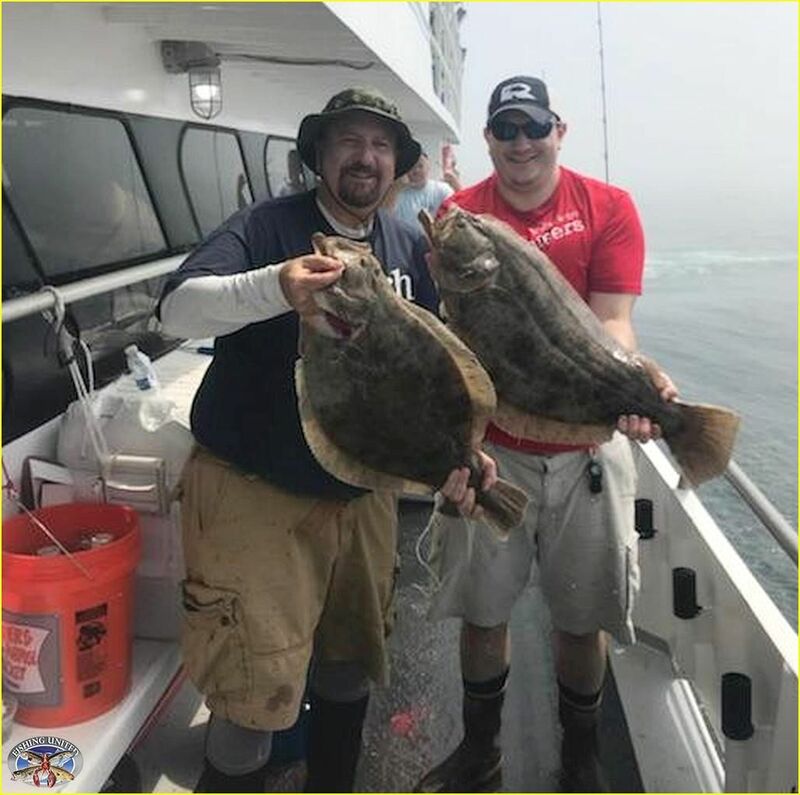 On our June, July and August trips we will spend some of the trip fishing for FLUKE around Nantucket Island and the rest of the time on the jigging grounds for COD and POLLOCK. 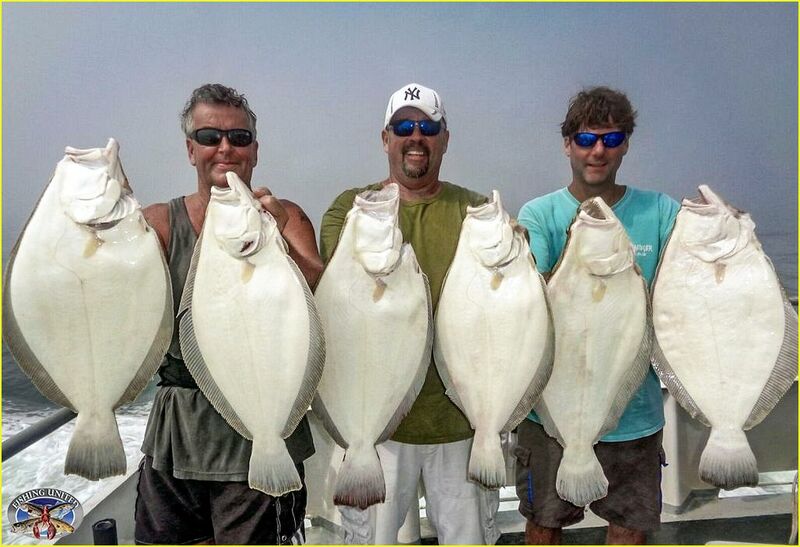 Last year we had excellent FLUKE fishing with full boat limits of fish up to 10.5 pounds. All trips will leave at 5:00 PM Thursday (except the Memorial Day weekend trip which sails Friday-Monday) and return between 8:00 and 10:00 AM Sunday mornings. These trips will be limited to just 32 anglers for your fishing comfort. All anglers get bunks on these trips. Last year we had super Ling fishing on a number of offshore spots during the summer. Anglers frequently landed 50-75+ Ling per person as well as some Sea Bass and Cod. In an effort to take advantage of one of the best eating fish we catch, we are running some overnight trips to these offshore areas. The VOYAGER will be leaving at 11:30 PM and returning later that same day between 5:00-6:00PM. These trips are by reservation only so don’t miss out! This year we will once again have 2-DAY MULTI-SPECIES TRIPS in addition to 2-DAY TILEFISH ONLY TRIPS. This is a response to those folks that want to utilize their time offshore to fish for more than one species. 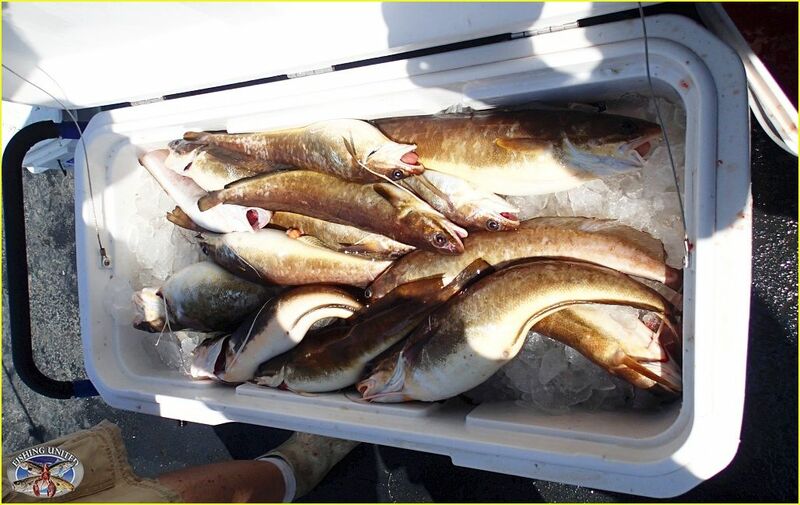 The majority of these trips will be 1½ and 2-day Tilefish/Rosefish/Hake trips. 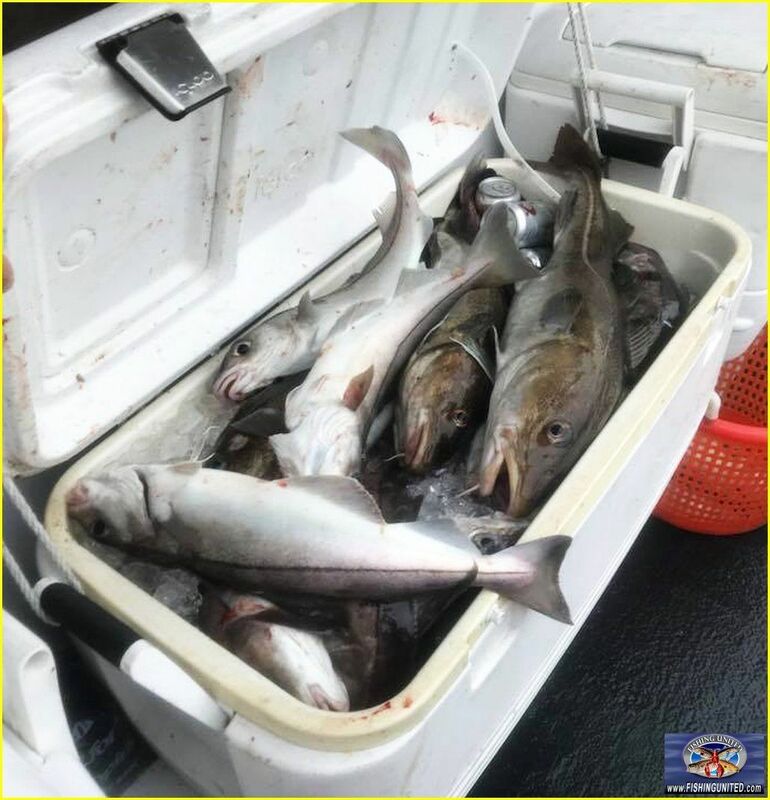 We have added a special 2½-Day Southern Rough Bottom Extravaganza targeting Rosefish, Tilefish, Barrelfish, Grouper, Hake & Sea Bass (if open). This trip will fish wrecks, rocks, and sea mounts from 300-1200 feet. This year we are doing two World Record Hunts. The first is a 2-day limited man trip taking only 21 people and the second is a 2½-day limited man trip taking 23 people. See our Trip Calendar web page for dates. This year's TUNA schedule will look a bit different than in the past. We will be sailing mostly 30-hour TUNA/MAHI Trips on both weekdays and weekends this season. 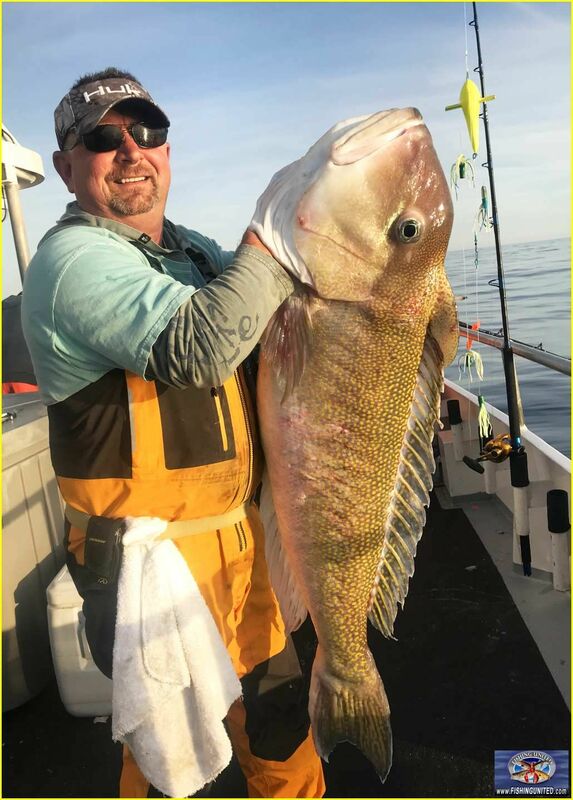 For those that want to maximize their time offshore we are offering a number of 2-day TILEFISH Trips with full Night TUNA CHUNKING and some MAHI fishing. These trips will leave on Sunday nights in September at 10:00 PM. For the extra hearty angler we have a special 2-Day TUNA/MAHI TRIP featuring two nights of Tuna fishing! This trip leaves at 5:00 PM on Sunday night September 22 and returns between 2-3:00 PM on Tuesday September 24. All Tuna trips are limited to 26 passengers unless otherwise specified. All anglers get bunks on Voyager Tuna trips. Please note that our October Tuna trips will be posted sometime in early summer. We have also added two Mid-Range BLUEFIN/BONITO/ALBACORE TRIPS in September. These trips will leave at 2:00 AM on Wednesday September 18 & 25 and are limited to 25 anglers and reservations are required. This season we will be fishing for JUMBO SEA BASS AND PORGIES leaving at 11:00 PM on most Tuesday, Thursday, Friday, and Saturday nights in November and December. We plan to start these overnight trips in early November and head out to the eastern wrecks to "meet" the fall Sea Bass migration. These trip dates will be posted sometime in early summer. 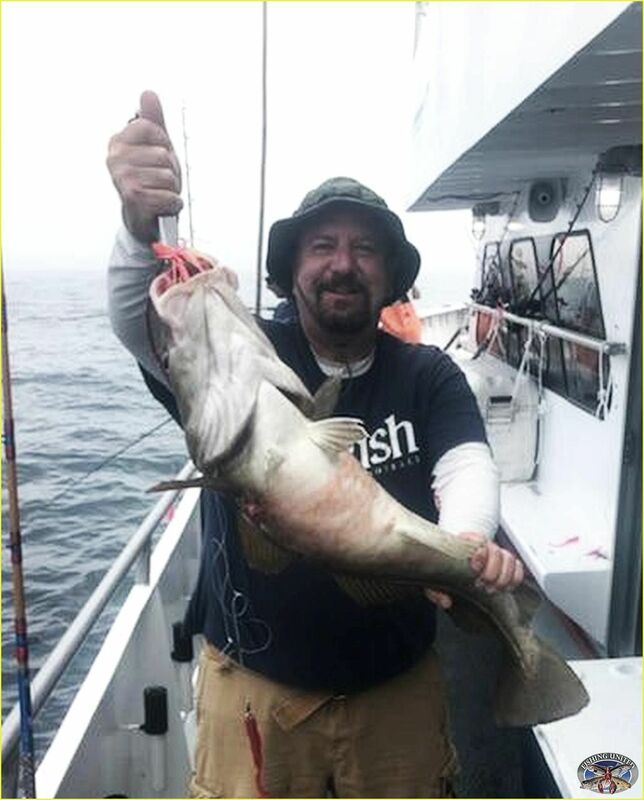 After excellent trips to BLOCK ISLAND last fall we will continue our BLOCK ISLAND COD, SEA BASS AND PORGY TRIPS on Sunday nights starting at the beginning of November and going through mid-December. These trip dates will be posted sometime in early summer. All anglers get bunks on these trips. Due to the cost of fuel and our strict capacity limits, we cannot be responsible for changes in YOUR plans. If you book a trip and cannot go, it is your responsibility to fill the spot. We will NOT be keeping a waiting list. You have to think of it like going to a Yankees baseball game. If you buy a ticket and the game is played but you can't go, it is up to you to sell your ticket or give it away. So please make sure that you don't have any schedule conflicts before you book a trip. E-mails are best since we process them first! Let us know what trip(s) you want and that you are sending in a reservation form and payment. We will put your name on the boarding list in the order that you contact us and hold your spot(s) until April 1 with no payment or obligation. You will not receive boarding numbers until we receive your reservation form and payment. If we do not receive payment by April 1, we will delete you from the boarding list and you will lose your boarding spot and will then need to re-book. Unfortunately, we are a one-man show in the office until summer and between running trips and office work, we will not have time to make courtesy calls to remind you to pay. It is your responsibility to make your payment on time. It is also your responsibility to know what trips you are supposed to be on so the excuse of "I forgot I was on last Sunday's trip" will not fly. Hope to see you during 2019! Porgy fishing was very good last weekend. We started with a decent pick but things slowed for us in the middle of the day. We made a little move and in the afternoon it was GAME ON! Loads of double and triple headers were flying over the rails. Many people had limits of large and jumbo fish. We also had a couple dozen LING and even a HADDOCK. We have added one last trip before we go to the shipyard for painting. Our next trip is Sunday morning February 17 leaving at 1:00AM returning around 6:00PM. We still have room and the long range weather forecast looks good! Due to the short window of time between now and sailing, payment will be by cash only at the boat (unless you have money on boat credit) but you still need to make a reservation so we know you are coming. Spots will be filled from the June 23 waiting list first (contact us via email if you want a spot on the new trip) and then any remaining spots will be open to the general public.